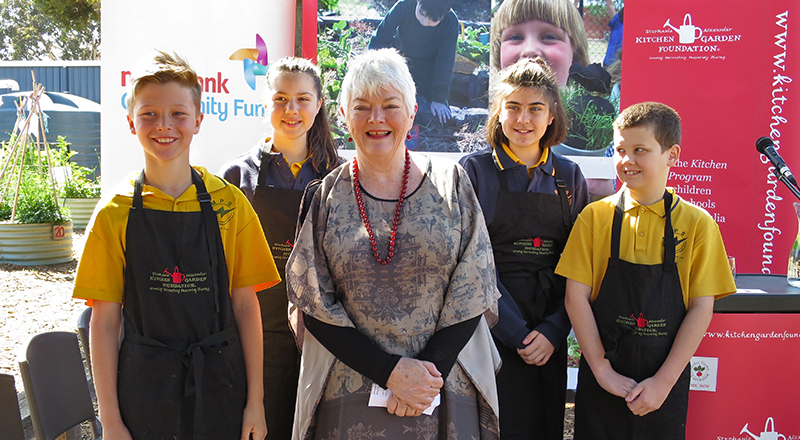 Monday 19 October saw the launch of an exciting new partnership between the Stephanie Alexander Kitchen Garden Foundation and our Principal Partner, Medibank. 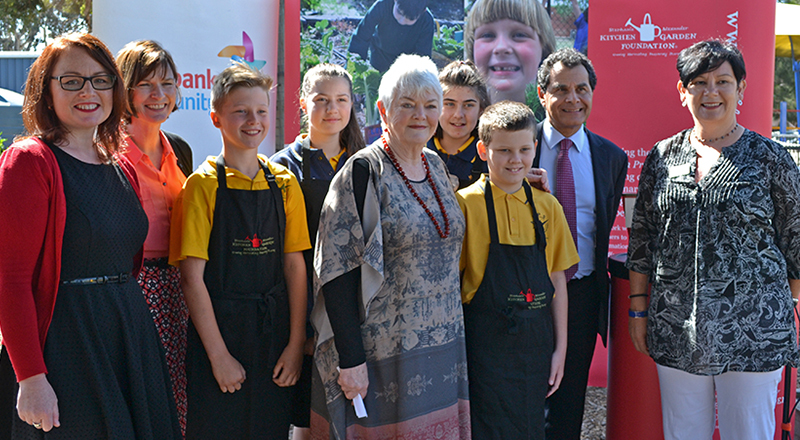 This wonderful new community partnership will see thousands more children and their families gain access to pleasurable food education across the country, as Medibank helps us build the future health of the next generation and enable more Australian children to experience, learn and adopt lifelong healthy eating and living habits through the Kitchen Garden Classroom. Long-term Kitchen Garden Program School Altona Meadows PS helped us celebrate the renewed partnership, with inspiring speeches, a vibrant garden, plenty of fresh food from the school kitchen and an incredible song that will stay in all our memories for a long time. The very welcoming, bright and truly inspiring primary school kids from Altona Meadows PS. George Savvides said: ‘We want to help address the growing problem of childhood obesity and lay strong foundations for a healthy, active life. And so, today, I am proud to announce that Medibank is continuing our partnership with the Stephanie Alexander Kitchen Garden Foundation. 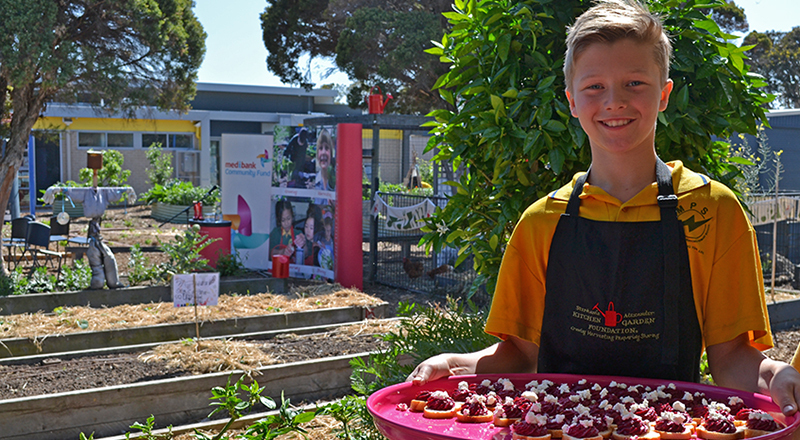 Together through this new partnership, Medibank and the Stephanie Alexander Kitchen Garden Foundation will provide more opportunities for more Australian children to experience pleasurable food education in schools and early learning centres. Stephanie said: ‘This is a very important day for the Foundation. We have now been working for fifteen years, always with a little help, often a lot of help, from our friends. We have had some marvellous friends over the years and today we welcome this new friendship with Medibank. It is important to say that in this partnership, as with so many positive partnerships, we will each retain our own identity but we also acknowledge our shared goals. We both want to act in ways that will positively impact the health of Australian families. ‘As we have developed and expanded our model of pleasurable food education we have become increasingly flexible and accessible. We want to impact on many more families. In this new partnership we intend to be more visible. Expect to see more public messaging as well as our team will be continuing the work of developing resources and activities for teachers that integrate pleasurable food education with the Australian National curriculum. We will also continue efforts to persuade governments that pleasurable food education deserves to be part of every child’s education. 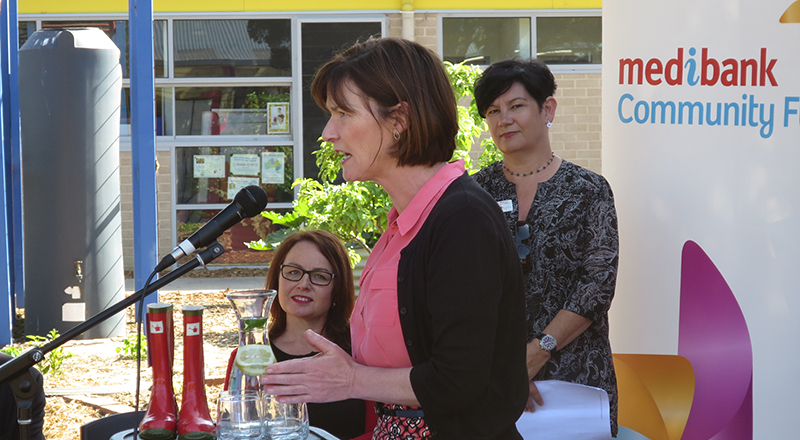 Ange congratulated Altona Meadows PS on its kitchen garden program journey, and thanked them for wonderful work and generosity in hosting the launch. She reminded us all how powerful a united effort can be in tackling large-scale, complex problems such as childhood obesity. Principal Yvonne discussed how the school had collaborated with neighbouring school Altona Green PS in establishing their kitchen garden programs in 2007 with support from the community, teachers and families – none of it could have been achieved without this shared vision and commitment. Yvonne also noted how much attitudes to food had changed since first establishing the program: at that time, it was commonplace for children to bring plenty of processed food and sugary drinks to school for lunch. Now they are all about fresh fruit and vegetables, and the children are taking recipes home demanding families cook them together. 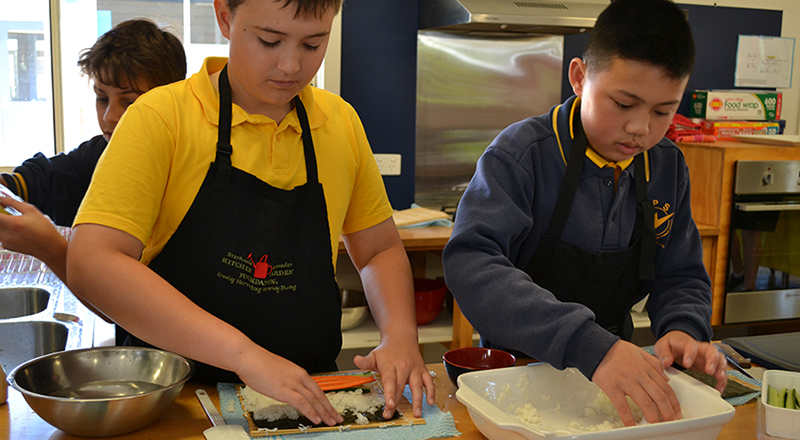 Their program has even aided in bringing together the over 20 different cultural backgrounds of the school population – through a shared love of good food. 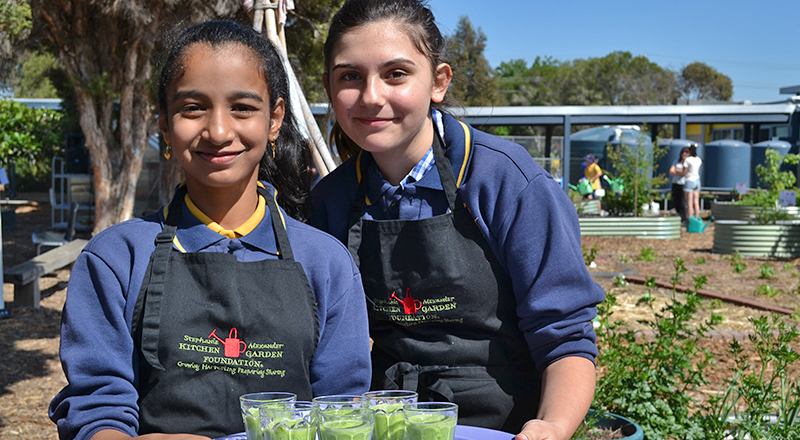 The Stephanie Alexander Kitchen Garden Foundation warmly thanks Altona Meadows Primary School for hosting the partnership launch – it was truly a heart-warming event that did the school very proud indeed. The Foundation also gratefully acknowledged Medibank’s investment in our important work, and looks forward to a fruitful, healthy and delicious partnership! Visit Medibank’s dedicated partnership page. 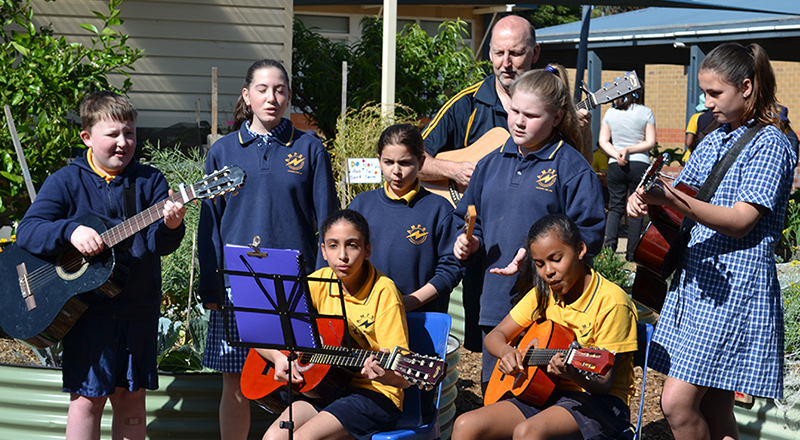 Watch the Altona Meadows PS students sing Welcome to Our Kitchen Garden to the tune of Vance Joy's Riptide. Find out more about joining the Kitchen Garden Classroom.